I finally got to go grocery shopping and I’m so excited to have produce in my kitchen again! 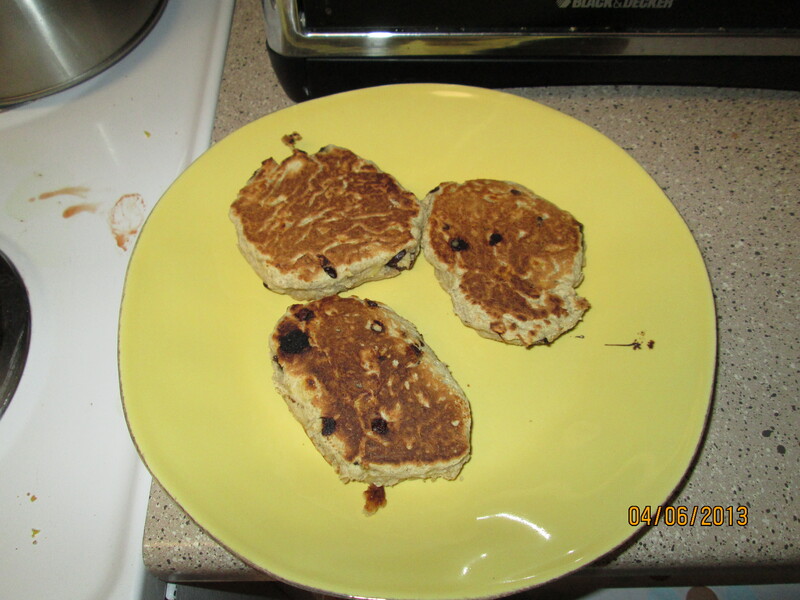 So to kick it off, I made delicious vegan banana pancakes. I got this recipe from a friend of mine and they are delicious! Seriously, I would never have known they didn’t have eggs and milk in them if I hadn’t made them myself! Now, I have to admit, mine are maybe not the absolute healthiest, but there are ways to make this a much healthier recipe. 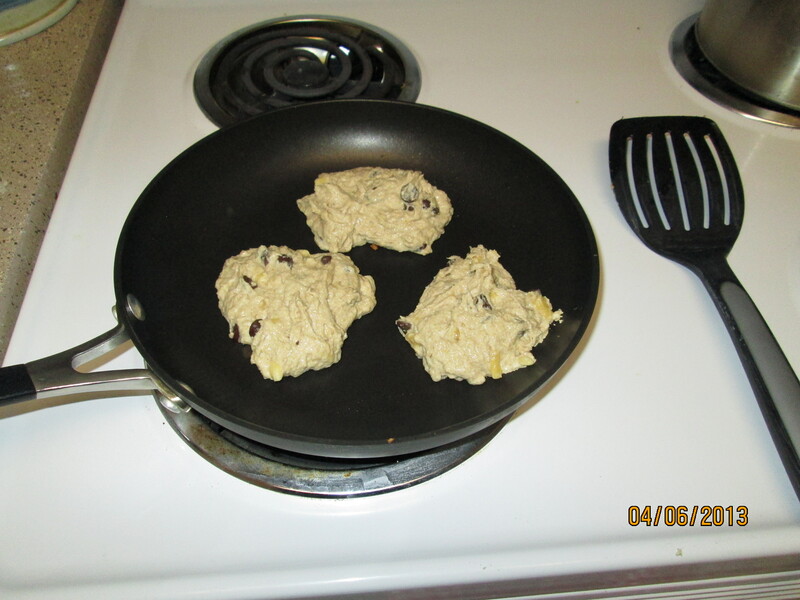 For example, you can add fruit in instead of chocolate chips. The original recipe calls for blueberries. I’ve tried frozen strawberries before, which make really pretty pink pancakes. I’d like to try it with fresh, which I think might work better. I’ve also done plain banana and topped it with Greek Vanilla Yogurt, which was great. Now, since I live at altitude, I have to alter this recipe. I add a little over a 1/4 cup of almond milk and a little less than 2 tsp. baking powder. So when I make a double batch (I like to have leftovers as this recipe holds up great in the fridge! ), I use 1/2 a cup plus an extra bit of milk that I just pour in without measuring and 3 1/2 tsp. baking powder. Using my kitchen aid, I mash the banana and then add the plant milk and maple syrup and mix until it’s well incorporated. Add the flour and baking powder and mix just until the dry ingredients are moist. 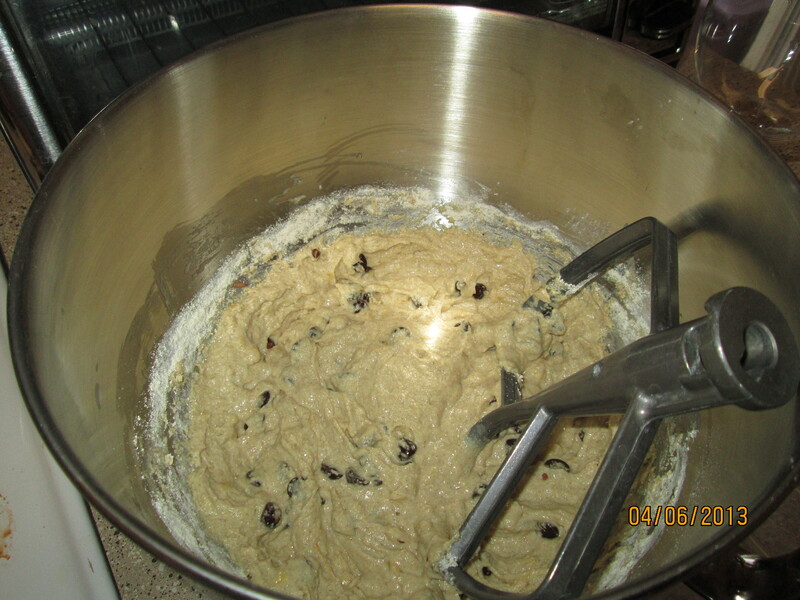 Add the other fruit, chocolate chips, or whatever other creative ingredients you would like and mix until evenly spread through the batter. This batter is really thick! It almost looks like drop biscuits! Mine is actually a little on the thinner side because of the extra milk I add. I’ve made it at altitude without the alterations and it came out VERY thick. Don’t worry! You’re doing it right! Now as a quick side note, I bought coconut oil at the store today. I’ve always heard marvelous things about it and I wanted to give it a try. 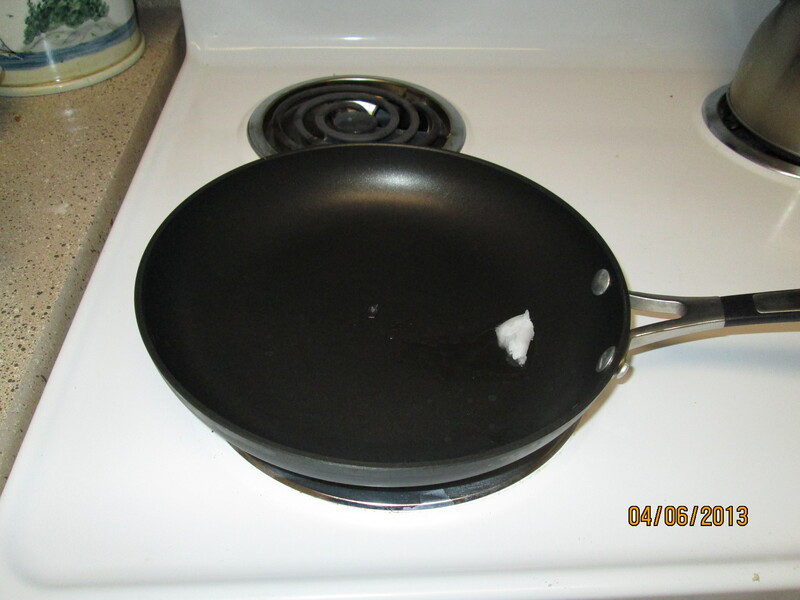 So that’s what I used for my pan. However, with a regular non-stick pan, you don’t really NEED oil with this recipe. I was just excited. I usually put my stove on medium/medium high heat (on my stove, that’s a 6-ish). Sometimes I have a tiny bit of trouble getting them to cook completely through, but if I turn down the stove, that works for me. Plus, if they’re slightly gooey, it’s not like there’s egg in there that you absolutely must cook through! After making these pancakes, there’s no way I’m going back to my old boring ones! I love these and I feel good about eating them (better when I don’t put chocolate chips in). M likes to eat them with maple syrup, but I like them plain.